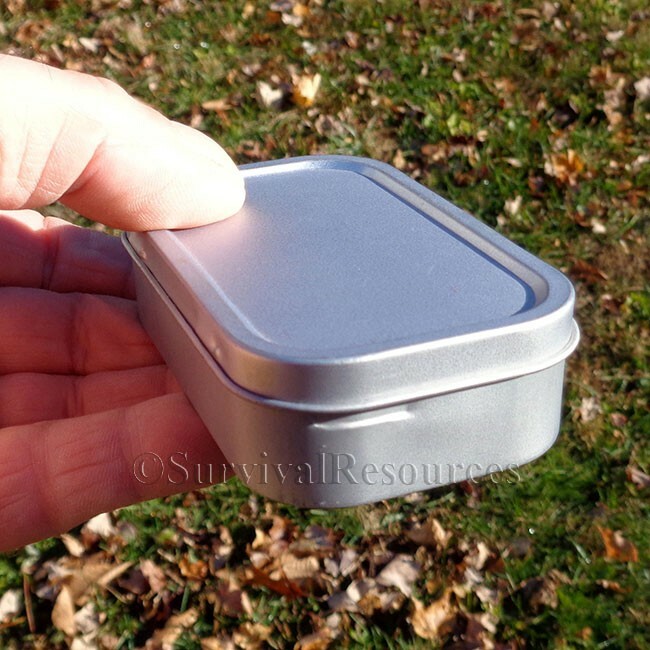 These are great tins to build a survival kit in. 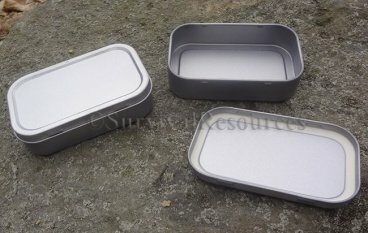 They have a rubber seal in the lid and indents that allow the lid to "click" into place. 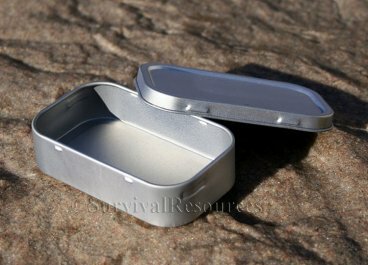 This small one measures: 3-3/4" long x 2-3/8" wide x 15/16" deep overall, and the inside dimensions are: 3-5/8" long x 2-3/16" wide x 7/8" deep.